Animals respond to healing energies and can often read our emotions, feelings and intentions. Horses, for example, are particularly sensitive and will mirror our feelings – because of this they are often used to help encourage people with social problems, anxiety, phobias or eating disorders to open up and experience trust, perhaps for the first time. Caring for pets such as dogs and cats has been proven to benefit one's health by reducing stress and triggering endorphin release within the body, whilst research by world-renowned biologist Rupert Sheldrake has shown that dogs know when their owner is coming home long before she or he has arrived. He suggests that we are all linked via 'morphic fields' and that these fields explain behaviour such as migration and how lost animals are able to find their way home over long distances. 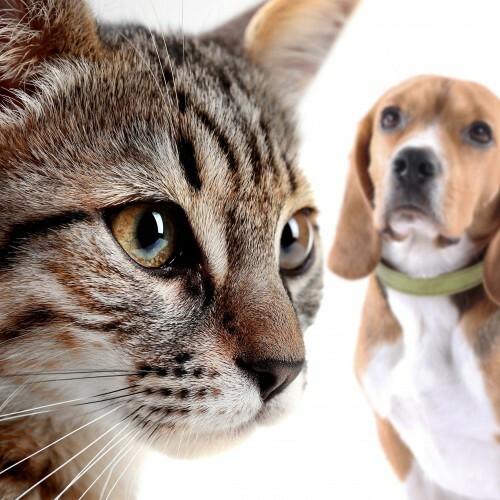 Some people believe their pets are able to sense the presence of discarnate spirits, whilst cats are said to be drawn to geopathic stress zones in the house, with dogs actively avoiding them. Animals have a special place in many cultural and religious traditions. In Shamanism you can discover and interact with your 'power animal', a totem spirit that communicates with you during a 'shamanic journey' or trance, or offers you a symbolic gift. In Hinduism the cow is regarded as sacred and occupies a special place in Indian life, whilst one of the most popular gods, Hanuman, is a monkey. In ancient Egypt many gods were depicted as having animal characteristics such as the head of a hawk or lion.